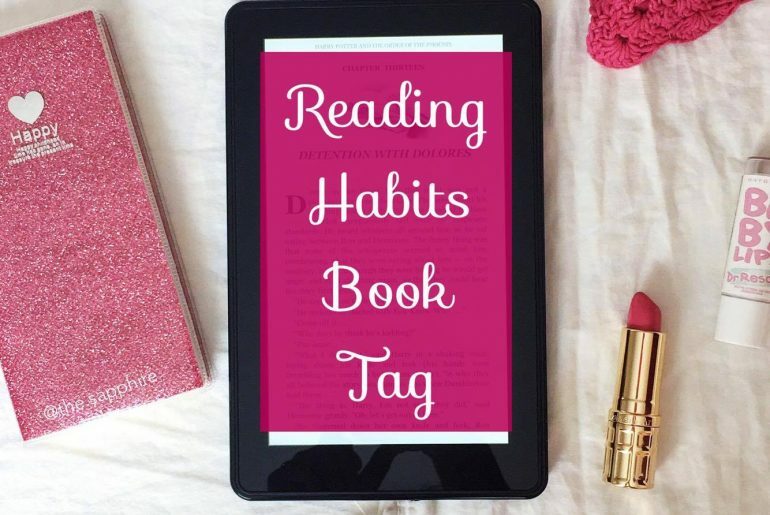 Book tags are one of my favorite things to blog about nowadays. It’s personal, organized and lazy xD The questions are already given, and all you have to do is answer them. 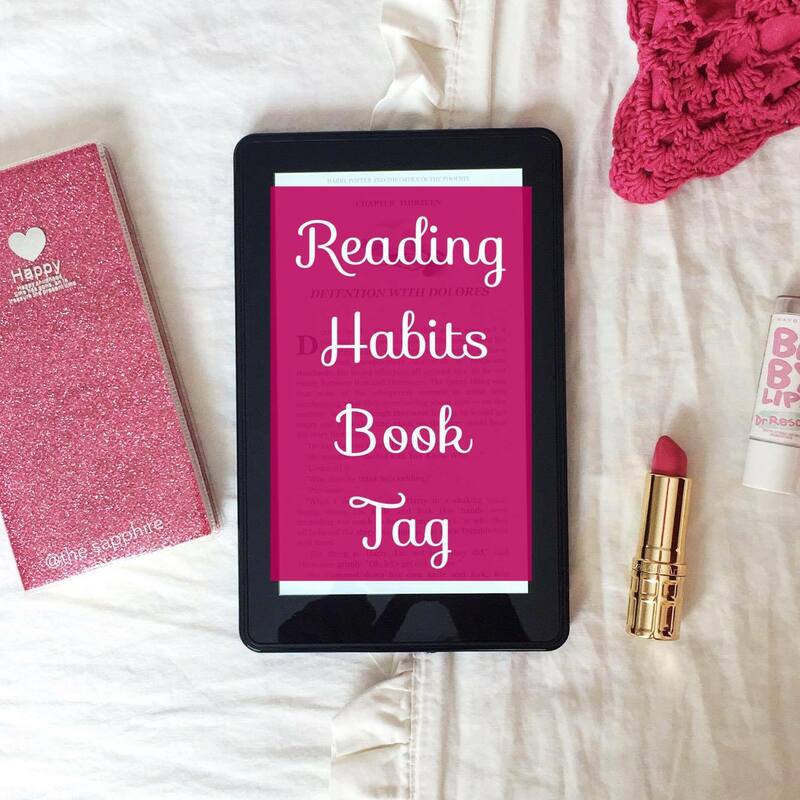 I also like how they enable us to see the behind-the-scenes of every reader and blogger’s routines and habits. There’s no ‘my spot’ yet. I kind of read anywhere where it isn’t so hot (it’s summer here and it’s blazing). During daytime, I try to read on a couch or my desk (and avoid my bed for obvious reasons), and at night I try to read at bed before going to sleep. Bookmark. A piece of paper just looks tacky. 3. Can you just stop reading on do you have to stop at the end of a chapter/after a certain number of pages? If I were reading peacefully, I would try to stop at the end of a chapter or section of a book. Or else I have to go back when I pick the book up again later. I usually have a bottle or cup of water nearby. Eating makes reading a bit uncomfortable, tbh. Multitasking just doesn’t work. However, I’m quite used to listening music while I do things and work (so it becomes a background noise, and not a distraction), so I’m quite used to having soft music in the background most of the time. But I would rather have no external sound when reading to maximize my concentration. TV would be just plain distracting. Several at once. Particularly because I read mostly on my Kindle, and I constantly browse new books. I usually try to read different genres at once, to keep things varied. Everywhere. I find it hard to read when I’m at home, because my mind often wanders off to other more ‘productive’ things that I could be doing (so I have to remind myself that reading can be productive, depending on what I’m reading). When I read outside, I can actually concentrate quite easily and shut down any commotion going on around me, so it’s quite nice. 8. Reading aloud or silently in your head? Silently in my head. When I first started learning English, I would read aloud to hear myself out and improve my pronunciation. But now I almost never do that. It slows down my reading speed too much. Well, unless I get overly attached with a character in a novel and trick myself into thinking that my actual life is in fact a cover-up of a much more fascinating world. Damn the voices in my head. If I need to break the spine, I will. Books are a treasure, but they’re books for a reason. They are meant to be read and explored, not to be left on the bookshelf, immaculate, to collect dust. We’ve got a lot of the same habits! I have that shy feeling when I think about writing in books, too. Even though I don’t lend books, either! I need my books to look brand new, though. Great post- yup I skim when it’s bad- and then I start to wonder why am I still trying to read this?? Hahaha yeah xD reading is time consuming, and there’s no point trying to delve into a book you can’t enjoy/learn something from. Mm if I walk under the sun for about 15 mins, I will get sunburned. It’s getting hotter every year, but I don’t think it’s worse than many countries (yet). Hahahahaha xD I normally keep my thoughts to myself too – I would feel like I’m “spoiling” the book if I wrote in it. o_O 110?! Mm I guess humidity does make a difference now that you mention it. It’s about 80 here (from morning till 5-ish in the afternoon) with 80% humidity (according to the iphone weather app). And it’s unbearable ? I actually don’t figure out mysteries soon at all! Maybe if I read mystery books slowly I could (? ), but they’re usually really interesting so I try to read them as fast as possible to get to the ending. But no, sadly I’m not quick to catch up ? I don’t like writing in my books either. They all are spick and span with a slight broken spine. P.s I have nominated you for the 3 Day Quote Challenge, check it out! Ooh that sounds fun!! Thanks ?